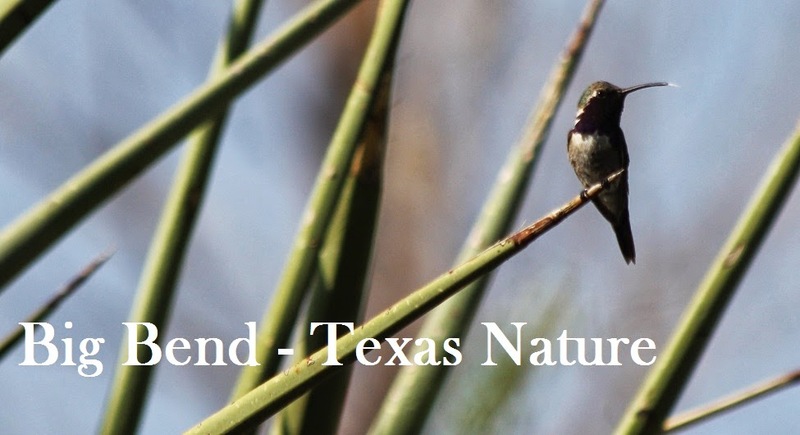 Big Bend - Texas Nature: Probable Nutting's Flycatcher - update! Edit: due to drought conditions, all precautions should be taken to ensure that no food or trash is left to prevent park wildlife from being attracted to the area. Until further notice, click here for all previous Nutting's Flycatcher posts! The bird seems to stick to a clockwise pattern, starting near the trail head, working around the parking lot and traffic island, past the bathrooms and vanishing toward the river. Today's Santa Elena trailhead observation was preceded by a "small Myiarchus" sighting at the canyon overlook - the bird flew down from that site toward the trailhead and was found within minutes. It may be moving around more with the cold weather to get sufficient forage, so folks may want to bring radios and split up with someone at the overlook, someone (or two) at the trailhead and perhaps someone around the Cottonwood Campground. It's present, just not sticking to a set schedule. That sounds like perfect advice. 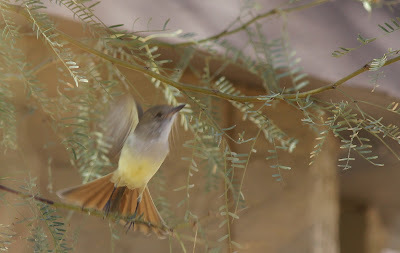 Great photo of the bird with tail spread. By Matt, I presume. Yeah. Heidi had her hands at the ready for audio recordings while I took notes and photos. That's from 2 January. We didn't take any photos today. I look forward to those that did. There were many. We had a great group of people there today. Over 20 observers.